Have you ever imagined a pod vape that can spin? The VOOPOO Rota can satisfy your all vaping needs. It is the first spinning vape pod device, adopting the classic spinning design and ultra mini size with bright surface. Working with built-in 340mAh battery, the VOOPOO Rota can bring you durable vaping experience. Tesla Stealth Mini MOD with Built-in 1300mAH battery. Let’s welcome the cool VOOPOO VFL Pod Starter Kit. Covered by vacuum-plated aluminum alloy, the VOOPOO VFL Pod Starter Kit comes with the solid American football appearance. It works with the built-in 650mAh battery with 3 voltages (2.5V, 3.0V and 3.5V) to switch. So you can make preheating setting in precise low voltage. One more feature is that the charging port is hidden on the bottom in this symmetric structure, which makes the VFL Kit be more exquisite and compact. 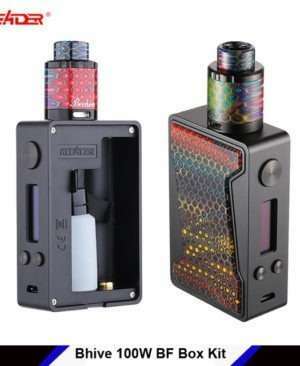 Aleader Bhive more is an artwork than a simple vape device, and the resin panel is replaceable. 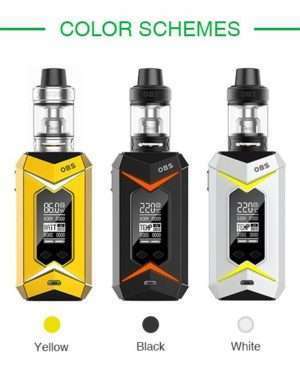 Powered by one 18650 battery, its largest output goes up to 100W, and with the 7ml squonk bottle made of food-grade material, Bhive sure can satisfy your daily needs. 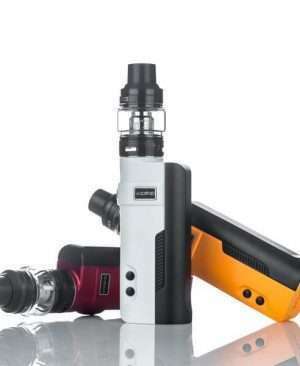 Also, 0.91inch OLED screen, convenient fire key and control buttons bring you simple vaping experience. Warmly welcome the debut of Resa Prince, a mysterious prince from an emerging tribe! 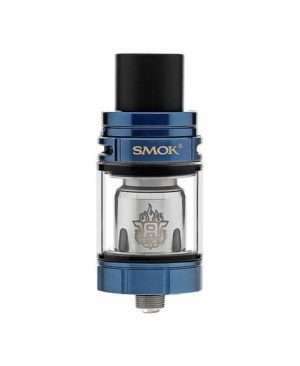 It is another crafted powerful subohm tank from SMOK with magnificent cobra resin design for its glamorous outlook and special tactility. With a newly designed convex glass tube, its capacity can be enlarged to 7.5ml. What’s more, Resa Prince Tank adopts powerful TFV12 Prince cores, the Prince Q4, X6 and T10 red light, all of which can bring you massive cloud and dense flavor. Besides, the newly designed T10 red light coil will emit beautiful red light when you are vaping. 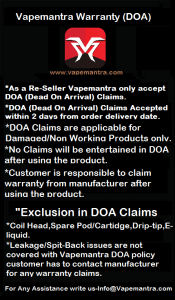 Just get one to make your vaping to a new level! 7.5ml Standard Edition. SMOK TFV8 X-Baby is a new member of TFV8 series with top airflow design, which delivers massive clouds, rich flavor and smooth airflow. A new experience for clouds chasers. 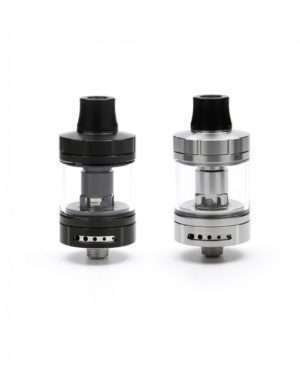 Uwell Fancier RTA/RDA is the innovative tank atomizer. 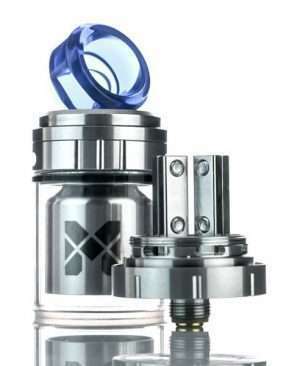 You can use it as an RTA or exchange the glass with the top cap use it as an RDA. With the innovative downward wicking and large refilling slot, the Fancier RTA has the fewer dry problem and easier refill than before. With the unique cross plate, the Uwell Fancier RDA will have not the spitback annoyance. 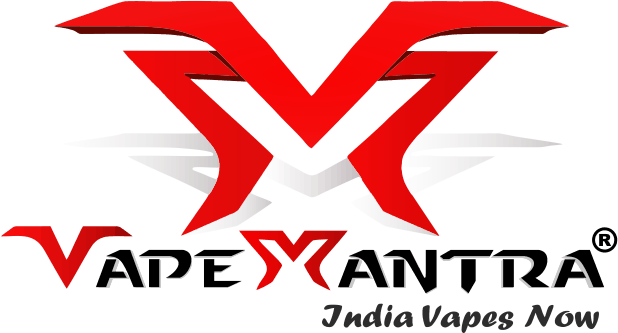 There are 4 adjustable bottom airflow holes for the different flavor and vapor. 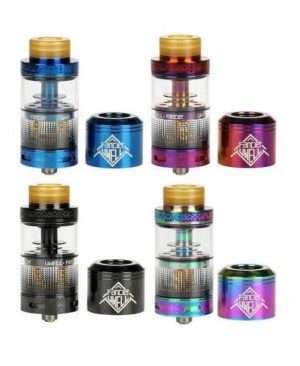 Get the powerful Uwell Fancier RTA/RDA for the best vape & save more money. The Mesh 24mm RTA by Vandy Vape is the rebuildable tank edition of the original Mesh RDA, integrating a new design overall in the build deck with a creative elongated two-post design with clamp mechanism along with top airflow system. Vapefly Nicolas is a MTL tank with 3ml e-juice capacity. It’s a good choice for flavor chaser. Fumytech Rose MTL RTA Gold Edition is an exquisite mouth-to-lung RTA that brings great flavor and convenience. 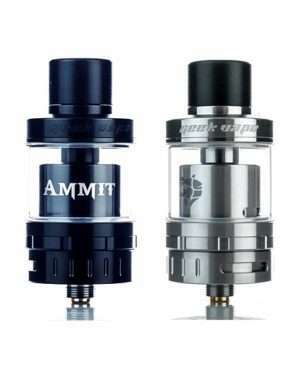 Airflow enters ROSE MTL RTA through several air holes on two sides of the base(one side has 5 holes while the other has three holes), and e-liquid is refilled through six refilling slots easily. Moreover, 24K gold is used to make atomizer chamber and base, and the gold-plated electrodes also improve the conductive properties. Wotofo ReCurve Squonk Mod is latest partner product by Mike Vapes and Wotofo. It is made of Zinc Alloy and a Special Rubber Coating, brings you comfortable hand feeling. Curves design and ergonomic shape plus smooth surface. The indicator light is positioned at the inner side of the squonk bottle area. You can check the charging status and protection status from it. 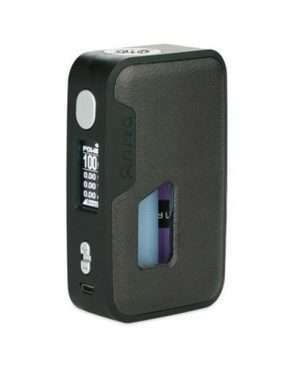 The mod comes with a chip for safety but has no display and wattage is not adjustable. The VOOPOO REX 80W TC Kit with UFORCE Tank is an ergonomic device which features S-shaped body with curve-designed fire button for comfortable holding. Adopting the innovative GENE.FIT Chip which can block dust, liquid and burnout. TRIGGER 168 is an ergonomic and powerful TC MOD from DOVPO with 168W max output power by dual 18650 batteries. With an individual “SET Button”, it is easier to operate. 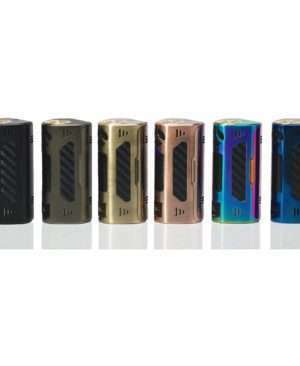 Arctic Dolphin Anita Squonk BF Mod is compatible with the single 18650, 20700, 21700 battery that Max wattage can up to 100W. With the 0.96 inch OLED white screen, you can see the parameters clearly. There are multiple output modes for you to choose. Features the high-texture appearance that you can change the different panel to get different touch feeling according to your habit. OBS Bat is an attractive bat-like device. Powered by dual 18650 cells, it supports max 218W output power. Paired with a Demo subohm tank, the Bat kit brings top level vaping experience. 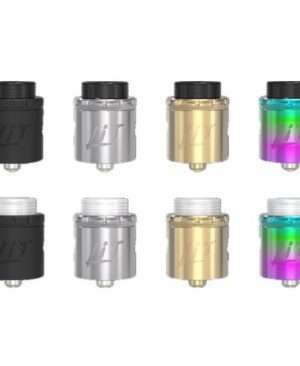 Vandy Vape Lit RDA Tank Atomizer features the stainless steel sheet collection wire wrap base that is so clean and easy to rebuild than before. The Resa Stick is a portable pen style vaping device with unique cobra resin body to display the beauty of the wild as well as strong with extremely good hand feel. 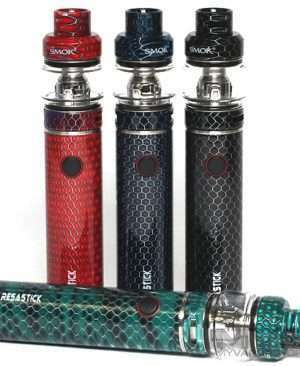 The Resa Stick comes with a 2000mAh built-in battery for powerful output and durable usage. It also comes with an intelligent LED indicator to show the accurate condition and multiple automatic-protections for easy operation.